Iconic Brazilian commentator Silvio Luiz has confirmed the start of PES 2016 recording sessions on his Twitter. Silvio Luiz (r) and Mauro Beting at a promotional event for PES 2011. Here are the tweets posted by the famous Brazilian football commentator. Silvio Luiz became the PES commentator for Brazilian Portuguese with PES 2011 and commentates the PES games together with Mauro Beting. 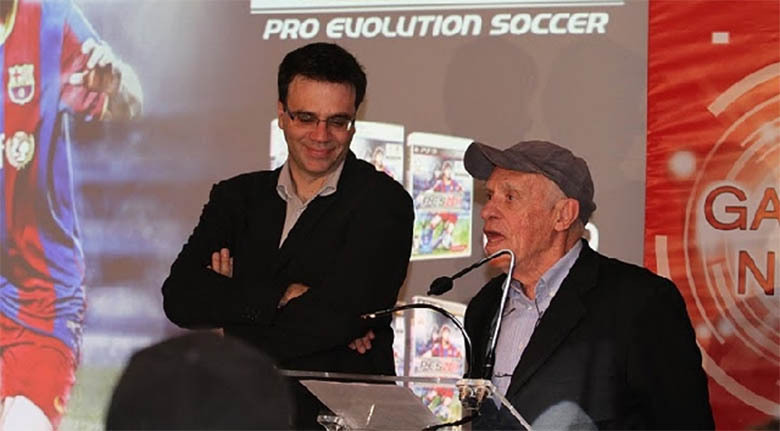 While not a lot details are known about the upcoming Pro Evolution Soccer, Jim Beglin already confirmed that he will continue as co-commentator in the English version of PES 2016. PES 2016 will be officially announced in about a month's time, with licenses being one of Konami's main focus points for the new Pro Evolution Soccer game.